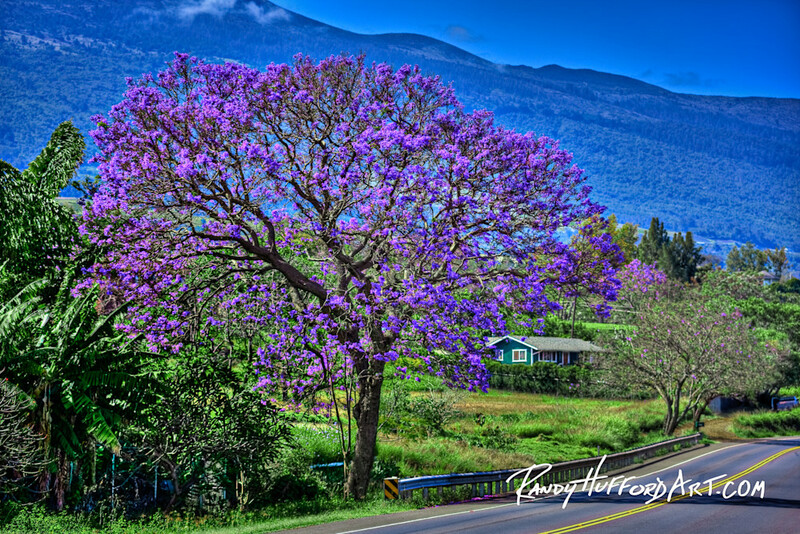 One thing to look forward to when taking a trip to upcountry Maui in the springtime is Lower Kula Highway, lined with Jacaranda trees in full bloom. One thing to look forward to when taking a trip to upcountry Maui in the springtime is Lower Kula Highway, lined with Jacaranda trees in full bloom. The trees along this road are a courtesy of Maui County’s first mayor, Elmer Cravalho. Upcountry Bliss is a magical image that captures the spirit of upcountry. It tells us that it’s okay to be different, as each one of us is important to the whole picture. Lower Kula Highway, Maui, Hawaii.